Hip In Detroit: Celebrate 11 Years of Almost Free This Friday! It's hard to believe that it has been 11 years since Almost Free got their start. It isn't very often that a band sticks it out for that long, but when one does it is totally worth it. That is definitely the case with this band. We've told you before what big fans we are of Almost Free. If you haven't taken the time to check them out yet, this Friday at The Loving Touch is the perfect opportunity. 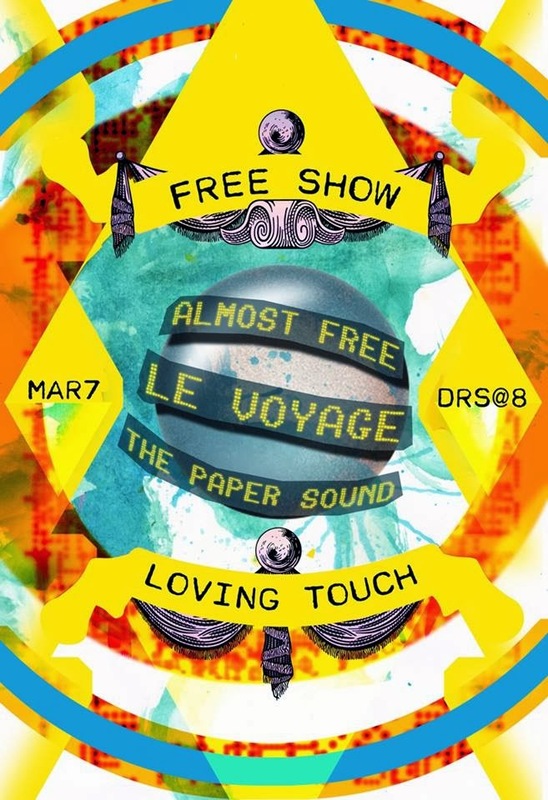 They are playing a free show with Le Voyage and The Paper Sound, while our good friend Alex Kaye a.k.a. DJ Kitten Fingers will be doing sets. This show marks the band's 11th Anniversary to the date too! Since it's such a big occasion, we caught up with Bob from Almost Free ahead of time to check in and see what's next and take a little walk down memory lane. You can listen to some tunes from Almost Free on their bandcamp here. Their recordings are great, but as Bob said, they are definitely a live band. If you like what you hear online, we guarantee they will blow you away live. Admission is completely free and 21+ are welcome. Doors open at 8 p.m. For more details, keep an eye on the Facebook event page here. We can't wait to see what's next for Almost Free! Here's to another 11 great years, guys. Cheers!